Burrewarra Point Lighthouse | Lighthouses of Australia Inc. 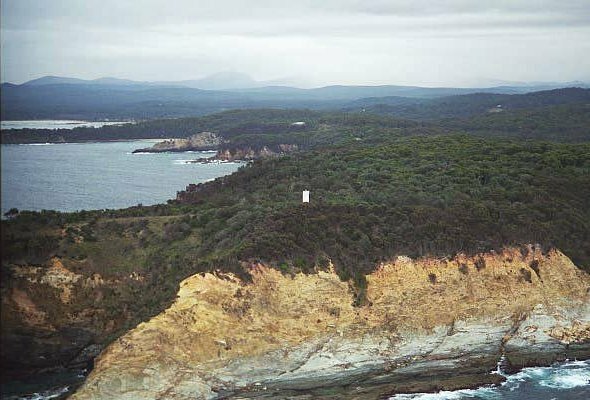 The Burrewarra Lighthouse was first exhibited in 1974. 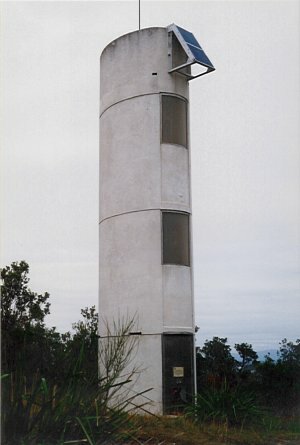 The Burrewarra Lighthouse was first exhibited in 1974 and was powered from batteries charged from the mains. In 1984 it was converted to solar power, with battery backup. Also at Burrewarra Point are the remains of concrete igloo buildings of No. 17 Radar Station used by the RAAF during World War II. 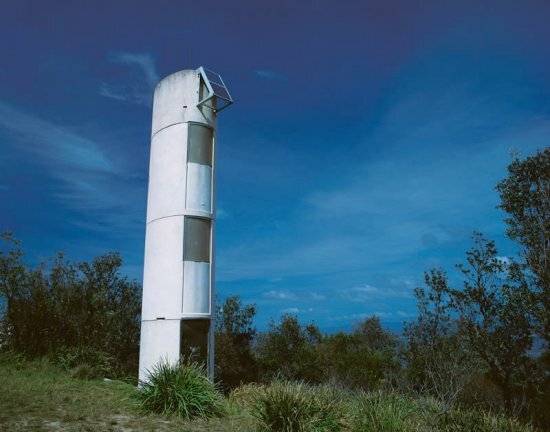 The lighthouse is a 700 metre walk from the end of Burri Point Road, Guerilla Bay. About 20 km south of Batemans Bay. The site is open but not the tower.